Use the Wireless Network Services API to integrate service activation, usage monitoring, and other IoT device connectivity management tasks with your applications. Starting on August 1, 2018, the WSDLs on our server were changed to specify only HTTPS connections. Starting in September 2018, we started requiring HTTPS protocol to retrieve the API WSDLs, initiate API sessions, and make all API calls. The WSDLs are no longer available via HTTP and no API calls using HTTP requests are accepted. If you get our WSDL from the SDK, this change should not affect you. If you retrieve WSDLs dynamically from our server, please review your code and ensure that you are not trying to make API calls or retrieve WSDLs using HTTP. You should have received an email on April 4 detailing this change. Click here for the full text of the communication. Please contact us immediately at iotdeveloper@verizon.com if you have any issues with API security. Need other services for your IoT solution development? Wireless Network Services are SOAP APIs. If you prefer to work with REST, check out the ThingSpace Connectivity Management API and other services on ThingSpace.Verizon.Com. Running all the IoT-enabled devices connected to your enterprise can be a challenge. Manage makes things easier by bringing all your connectivity management and monitoring tools together in one place. Now you have the tools you need to manage the entire life cycle of your devices in a single, scalable, reliable, self-service portal designed for IoT. Finding the services to help you build and manage your IoT solutions can be a frustrating and fragmented experience. 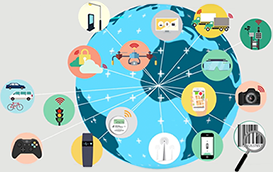 ThingSpace Services simplify IoT by consolidating these tools into a single pane of glass and API family. New service offerings in Device Location and Software Management are coming soon. © VERIZON. All Rights Reserved.